There is an old quote that goes, “Failing to plan is like planning to fail.” You need to have a plan on how to get where you are going, and if you don’t, how will you get there? It sounds odd, but for people in recovery, they need to have things planned out, at least for the first year while they are still re-learning how to live a clean and sober life free from alcohol or drugs. 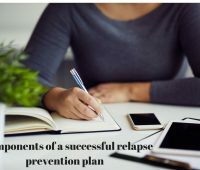 Here are some tips for you to use to make an addiction relapse prevention plan to help you to live a clean and sober life in recovery. It helps to think about what your stress and cravings are before they come up, and have a notion of what you need to do to help yourself when they do. One of the simplest things to do is to know what triggers the urge to use. Relapse triggers and warning signs are things that are likely to cause you cravings. They are a normal and a natural part of the sobriety process and will fade away in time. What did you associate with using? Music? A place? Certain people? Some things need to be avoided altogether during sobriety, like obviously going to bars, but other triggers are more specific to each individual. Plan your addiction relapse prevention ahead so that, at least while you are new to recovery, you can avoid any relapse triggers you may encounter. Develop a positive support network and seek out others to help out during difficult times, everyone needs someone to talk to. Think about who it is you would go to when you need support and someone to talk you through a difficult moment or just someone to take your mind off of things. Who are the professionals you would be willing and able to call during an emergency? Counsellor? Alcohol/drug rehab? Crisis line? 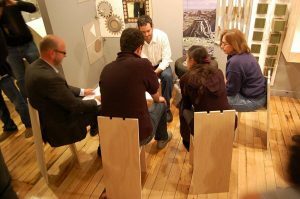 Who are the people in the recovery groups you could turn to during difficulties? Attending AA/NA or other recovery programs and having a sponsor greatly increases the long-term success of someone in recovery. 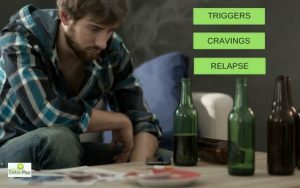 Who are the friends and relatives you would feel comfortable talking to about these problems, even thoughts of relapse? Select people with whom it would be reasonably comfortable to talk about your recovery. Finally, who are the people you could talk to just to get your mind off the thoughts in your head? People can be a great distraction technique, and they do not even have to know they are being one. So, who are the people with whom you can talk about sports, the news, or movies? Your mind and your body are forever related, and if one is taken care of, then the other responds beneficially to that. So if you look after your body, your mind often follows with good mental health, more able to cope with stress and less chance of cravings for alcohol or drugs and relapse prevention. This involves eating correctly, getting enough sleep each night, regular exercise, taking medication as prescribed, and proper hygiene. All of these are necessary life skills that will help defeat addiction. Try to think of more activities that are healthy and fight stress; try to take some time to learn some of your own unique coping skills. Have your addiction relapse prevention plan written down. Put it on the refrigerator. Have a copy in your wallet. You do not want to try to remember what to do when cravings are here. Your brain cannot think well when you are having a craving. Just have this list, your personalised addiction relapse prevention plan ready to go, so all you need to do is look at it and know what to do. Okay, so what happens if you relapse? Does that automatically make you a failure? No, it doesn’t. Every day of your new life is a step in the right direction. If you were able to get clean and sober once, you could do it again. Does relapse to drinking or drug-use mean that rehab has failed? No, addiction is a chronic disease, so relapse is not only possible but probable. Relapse rates for addiction are similar to those for illnesses such as diabetes, hypertension and asthma. Treating addiction means you have to change thoughts and behaviours deeply embedded in you, and this is rarely easy or quick. Relapses indicate that your treatment needs to be reinstated or adjusted and that you may have further to go in changing yourself. Recovery occurs every day for millions of people. It is an ongoing process, and one of the things that people who are successful in their recovery know is that you need to plan for it. You need to plan for your success, and it will follow. It may be that you should consider an inpatient treatment programme at a rehab centre. An addiction centre will provide you with an extensive therapeutic programme, encompassing the physical, psychological and spiritual signs of drug addiction. It will explore where the root of the problem is to be found in the person’s mind so that the treatment programme will concentrate primarily on the mental and spiritual side of addiction. A rehab programme will also incorporate holistic therapies and a generalised physical and mental wellness programmes, to put you on the path to recovery. If you’ve already gone through treatment and are struggling with the potential or reality of relapse, there is help available. You should get enrolled in a treatment program that better suits your needs and that can help you reach sustained sobriety. Contact us now and allow our professionals to find just the right treatment program for you.